Your trip would be impossible without the help of the Administrative staff. Their hard work and dedication keep the wheels on the road and your trip on track. They are here to help with anything you need! Kara was hired in 2008 as the Finance Manager. Several positions and six years later, Kara has reached the title of President of the company. With a BS in accounting and an MBA, she has a broad knowledge of how business works. However, she probably learned more about business as a child watching both of her parents operate successful businesses of their own. As the President, she has multiple roles to play, but she still loves working directly with her groups as a Group Sales Coordinator. Kara's main goal for the company is to provide a quality trip at a reasonable price. She focuses on going that extra mile for every group so that each trip is easy and hassle-free for the leader. Kara welcomed her first child, Kaylor, on December 8th, 2011, so needless to say she is very busy! When she does have spare time, she loves to spend it with friends and family going out on the boat, traveling, riding horses and riding 4-wheelers. Her favorite travel destinations are Nashville, NYC, DC, Atlanta, and Punta Cana. A compassionate woman with an inclination toward math, Denise is our Financial Manager. Despite the fact that she has been to numerous parts of the nation, she is now anticipating her chance to pack the parka and see Alaska! When she isn't in the workplace, Denise enjoys interior decorating and going to her son Hunter's numerous activities like soccer, T-ball, swim lessons and guitar lessons! As a country girl, Denise also enjoys the tranquil lifestyle connected with a rural real estate. Raquel is our Reservation Specialist! She has one busy little boy at home whom she looks forward to teaching about the great outdoors. Raquel and her husband, Everett, partake in boating, fishing, hunting and spending quality time as a family. As Raquel grows with the company she sets her goals to learning new strategies, taking on additional responsibilities and contributing as much value as she can. With an Associate of Arts degree as well as a Bachelor's degree in Criminal Justice and Sociology, Raquel knows how to handle a workload! If she could revisit one trip in her life it would be her honeymoon in Georgia, North Carolina and South Carolina where she and her husband took on white water rafting and zip lining! Liz is our senior-most Reservation Specialist. Her personal group travel experience is very expansive! While in high school, she won a writing contest that gave her the opportunity to travel to Washington DC with a group of students. Also, she was part of a group in college that traveled to Greece, Israel, Egypt and backpacked around Europe. When asked what her favorite part of her job is, she stated, “Working with the client to customize the trip to best suit the groups’ travel needs.” She loves the fact that she gets to help students see new places and have a great time while there. 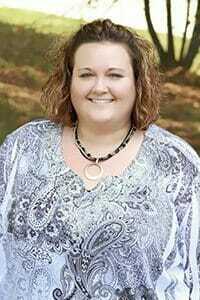 Meet Dawn, one of our fantastic Reservation Specialists. Her passion for student education and opportunity are quite obvious, as is her love for travel in general. Dawn has been happily married for 34 years now, with 2 daughters and 2 granddaughters to spoil in her free time, if she's not out on the boat with her husband! Dawn has traveled with student groups to D.C and is an expert in her area! Meet one of our newest Reservation Specialists, Kaylynn! Kaylynn is the mom of a 1-year-old and is working on her Business Office Administration Degree currently. She enjoys traveling to the Quad Cities and Branson, and is eagerly looking to add many more 'favorite' spots to her travel list! Josh is our Social Media Manager! He keeps track of online travel trends and makes sure our social followers stay up to date. A music buff, Josh takes his love for a good beat to the gym, the volleyball court, and the pavement for a long run. He spent three years in Orlando building lasers, and today enjoys investing in the stock market, boating, fishing, golf, and professional photography. Married to his college sweetheart, Josh has one life goal: to stay happy. Meet Danielle, our Lead Writer! 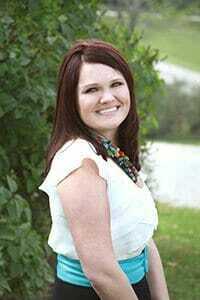 Danielle graduated from Truman State University with her B.A in English and minor in Geography. Danielle enjoys hiking and photography. She loves this job because it allows her to combine her two passions, writing and travel, into a useful resource for others who also love to travel. Her favorite places to visit are the gorgeous hills of Tennessee, the bustle of lakeside Chicago, and the bright beaches of Cancun, but she is always looking to add more to her list! 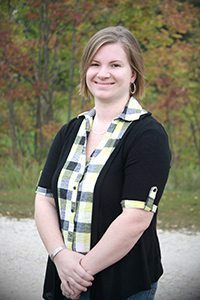 Michelle is the newest addition to our Web Team! Michelle originates from Seattle, WA but has called the Midwest her home for 20 years. She’s an avid traveler and is working on visiting all 50 states before she's 50. She enjoys road tripping with her 2 teenage sons whenever she can, and also likes to travel with our AST student groups to see the process firsthand! Michelle is working on her degree in Media Communications and loves helping the web team with social media, video blogging, and website upkeep! One of our newest Reservation Specialists, April is a travel-loving, family-oriented small town girl who loves helping her groups. She has been to Destin, Florida, but is looking to add many more destinations to that list in her future. April has a fiance, 2 daughters, and 1 son, and loves spending time with them.